Here is a picture of Pastor Noel Barkat, the Evangelist and Pastor for our ministry. Pastor, Noel is the founder & Director of Jesus Vision Ministry. His dedication to his faith and to the ministry is a strength that we all benefit from. The Great God has blessed us with the treasures of the talents and with the great positions. We should use these talents and our blessings for spreading the word of God to the nations. Commit our selves with Lord Jesus Christ and go to the Children of God to preach the Gospel. 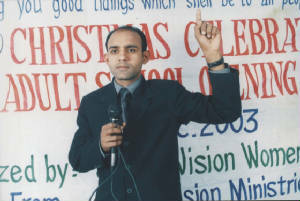 The youth of JVM (Jesus vision Ministries Pakistan) is preaching the Gospel in the villages and the different cities of Pakistan. They have great desire to serve the lord Jesus Christ. For this purpose they are working with full of spirit of Lord to proclaim the Gospel to the every ear. We know the work of God has been raise. No one can stop the work of God from progressing. Prosecutions may tamper and throng may unite but the work of God will go forth fearlessly and virtuously to the nations and sounded in the every ear. 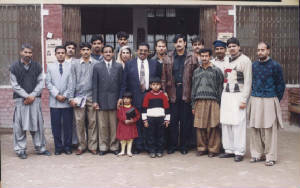 Ev, Hameed Barkat is secretary for the JVM (Jesus vission Ministries Pakistan). 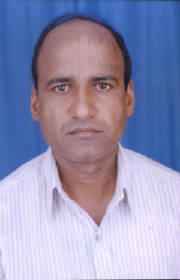 He is member of the ministry for 5 years before becoming part of the staff. 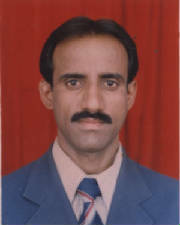 He always have a smile on his face, and plays a vital role in our daily activities. He is serving the God almighty with the great spirit. He has been married for 18 years and has three children. 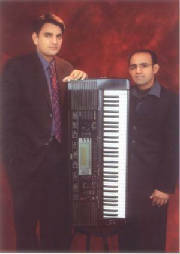 Bro,Sohail Bashir, Assistant Director & Music Director of JVM, Pakistan.